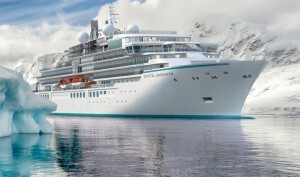 Crystal Expedition Cruises today announced the complete deployment of far-reaching 2021 itineraries for their luxury expedition yacht Crystal Endeavor. In late February, Crystal an nounced that Crystal Endeavor will be sailing the elusive Northeast Passage in 2021. In addition to this the polar class yacht will explore legendary, unknown, remote and remarkable destinations throughout Antarctica, Japan and the Russian Far East, Aleutian Islands and Alaska, Australi, New Zealand and Tasmania, Indonesia and the Indian Ocean, Norway and the United Kingdom, Western Europe, Canary Islands and South America. The complete roster of Crystal Endeavor’s 2021 itineraries and voyage highlights can be viewed here. Every voyage on Crystal Endeavor will focus on the bio-diversity, active adventure and natural and cultural history of the destinations, with expert expedition guides aboard. Some travel to extreme destinations rarely visited – from the Arctic to Antarctic – like New Zealand’s Sub-Antarctic Islands; Christmas Island; and the Aleutian Islands west of Alaska. Others offer unique access and new perspectives on popular locales, like prime dock positioning in the heart of Bangkok at Khlong Teoi, downtown Ho Chi Minh City and across from the Royal Yacht Britannia in Edinburgh’s port of Leith. A bevy of natural and cultural wonders punctuate the journeys, including dozens of UNESCO World Heritage Sites like Japan’s Shiretoko National Park, Vietnam’s Imperial City of Hue, Australia’s Turquoise Bay and Ningaloo Reef, and New Zealand’s Fiordland National Park. Numerous opportunities for wildlife observation abound in the Aleutian Isles, Tasmania, Indonesia, the Northeast Passage, Antarctic Peninsula and beyond. The expeditions will offer experiences, climate, and terrain that are suited perfectly for the boldest travelers, with opportunities for hiking, biking, kayaking, snorkeling, diving, helicopter, and Zodiac tours, and encounters with majestic wildlife, depending on the region. 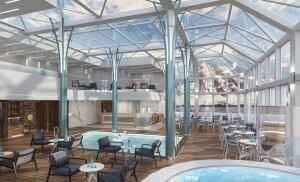 The 20,000 tons Crystal Endeavor will accommodate just 200 guests with elegantly casual, expansive public spaces; all-suite, butler-serviced guest rooms; Michelin-inspired dining options including Master Chef Nobu Matsuhisa’s Umi Uma & Sushi Bar; full-service Crystal Life Salon & Spa and state-of-the-art Fitness Center. Expedition-specific amenities and spaces will enhance guests’ experience, including designated “mud rooms” and helicopter lounge. Crystal Endeavor’s 2021 expeditions will be open for booking on March 13, 2019. 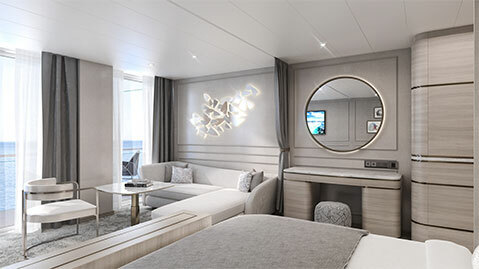 To book your Crystal Endeavor cruise at the guaranteed lowest fares, please call Crystal Expeditions number one agent in the UK on 03331 224466, our team of experienced cruise specialists will be happy to assist you with your personalised quotation.